May 2014 – …it's all about Studio Cycling! FlyWheel Back Bay – Add Two! More praise for the FLY team! As a former indoor cycling instructor, I have high standards when it comes to classes. Indoor cycling classes are really only as good as the effort that you are willing to put into it as the rider on the bike, but a good instructor sets the tone, has an insane playlist, and makes me WANT to pedal faster. Its hard to pinpoint the exact things that make a good spin class, but you know when you are in one. 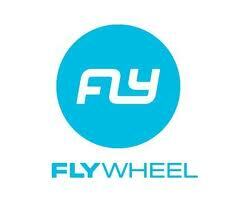 Last night, the 6:30pm class at FlyWheel Back Bay was one of the best I’ve ever done. May 9, 2014 FOR THE RIDE INSIDE What is STUDIO CYCLING?